You have determined your target market audience and established your web design. It seems everything is running smoothly as you planned it to be. Keywords are in place and content is informative. But they may lack something that can be essential to viewers. It may lack that “personal touch” that viewers are attracted to. Adding a “personal touch” can inspire viewers to take a site tour. And this site tour may end it with buying one of your brands. This “personal touch” on your website can be in the form of an audio message. Your web design is one way to draw viewers to your site. It does not end there. Static texts are not personal. Listening to your personal message makes the difference. There seems to be sense of belongingness. It adds life and warmth and it draws people to know your website more. 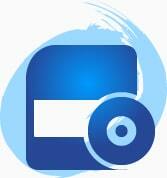 With website audio, you can encourage potential customers to try and promote your products and services. Welcome messages connect you to your potential customers. It brings personal touch to your site through inspiring short welcoming message. You can also introduce your web features and the benefits they can offer to them. Provide some tips and guides add value to your website. You can inform your visitors about some useful tips regularly. When your visitors find your site very informative and inspiring, they will surely return. Customers’ Reviews and Case Studies is one way of building a good relationship with customers. Case studies ensure them that your products are of quality. Reviews can give them guarantee how your products and services work. But most important thing is using audio messages give them the feeling of being valued. Provide business guarantees. 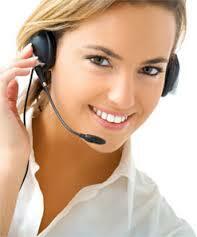 They listen to audio messages that guarantee them of the benefits of your products and services. You can convince them that buying your products and services is one of the best options they made. Try using audio postcards to impress your visitors on email campaigns. When people read your email with audio messages, it is giving your message clearly. Long text turns off readers but with audio messages, they draw people to listen. Your audio messages do not have to be long. A simple hello can do miracles. You can add some audio reviews from your customers using their own words about your business and products. You can even announce important business events or launch a new brand using audio messages. Try to make it brief and concise and should not be longer than 2 minutes. Present mobile features connect users to their emails. Most regularly, users check their emails and would appreciate listening to audio messages instead of reading small-printed texts on their mobile phones. There will be more updates and features of mobile system and we are sure, you want to utilize them to promote your products. Most of the companies are still using the static texts to promote their products and services. Be unique and stand out from them. Reach out to your target audience with the use of audio messages. It makes the difference! With a short and inspiring welcome message, it attracts people further to you. Brief but clear description of your products and services will move them to visit your site. With a functional and good web design, opportunities to increase your sales are high. Creativ Digital has a team of professional experts on web development and web design. They can help you build your website, increase your visibility and traffic, and put “personal touch” through audio messages. You can send email or call them at 1 300 055 867. Contact them now for free consultation and help you build your business!